Pavers or Natural Stone? 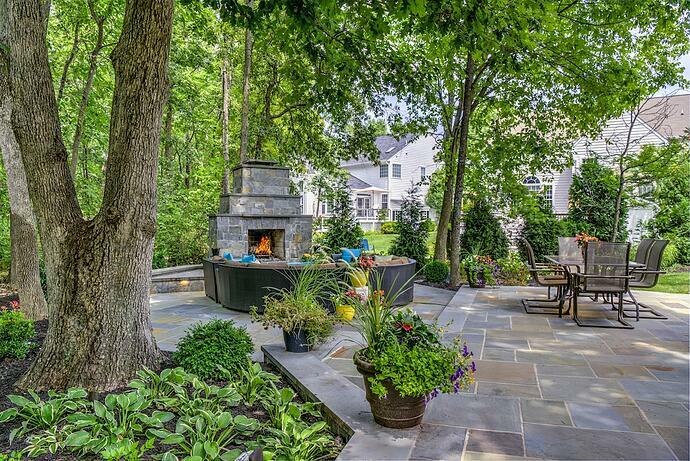 Which is Best for a Patio in Ashburn, Aldie or Leesburg, VA? 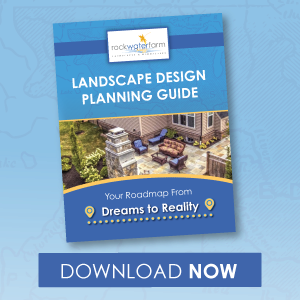 There are a lot of decisions when it comes to your outdoor living projects. While all of the options available today are part of what makes a project so exciting, it can also feel overwhelming at times. When it comes to a patio for your Ashburn, Aldie, or Leesburg, VA home, the first decision to make is the type of material you’d like to use: pavers or natural stone. It’s not uncommon for the word “stone” to get thrown around casually as though there isn’t much difference between manmade pavers and natural stone such as travertine or various forms of flagstone. But the fact is these two materials are quite different and understanding a little bit more about each material should help you make the best decision. In this region, where there are so many historic homes and farms, natural stone has been a material that is well-suited to the local feel of the area. Even new construction homes are often designed with stone so that it blends more seamlessly with the surrounding area. Besides being a style that is regionally appropriate, there are many other reasons that natural stone is the best option. But first it’s important to understand the differences between concrete pavers vs. natural stone. There is definitely confusion when “stone” is used to refer to paver products. However, pavers are not actually stone, but manmade concrete blocks that can be shaped and colored to many looks and textures. In fact, pavers made to look like travertine or other types of natural stone are increasingly popular. Still, at the end of the day, it’s not the real thing. Natural stone is that which has been quarried and trucked in, direct from nature. Travertine and various flagstones are popular choices for a patio and have an elegance about them that simply can’t be replicated. Natural stone is incredibly durable. After all, it has already survived in nature for thousands of years. While the surface of pavers can weather over time, and begin to expose the aggregate (the little tiny rocks and pebbles that comprise structural filler in concrete and acts as a binding agent), natural stone will outlast your time in the home. Besides its elegance and its durability, the biggest selling point for natural stone is its authenticity. There’s nothing quite like the real thing. People obviously love natural stone, which is exactly why replicating it in paver products is so popular. But at the end of the day, real stone is the optimal choice. If you have a beautiful home built with natural stone and build a patio of manmade pavers, it simply doesn’t look as nice as it could. 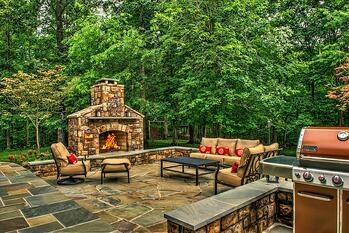 A Stone or Paver Patio? With so many clear benefits to using natural stone, why would anyone use pavers? Well, for one, natural stone can be more expensive. For a small project, the cost is often comparable and it’s worth investing a little more for the better product. 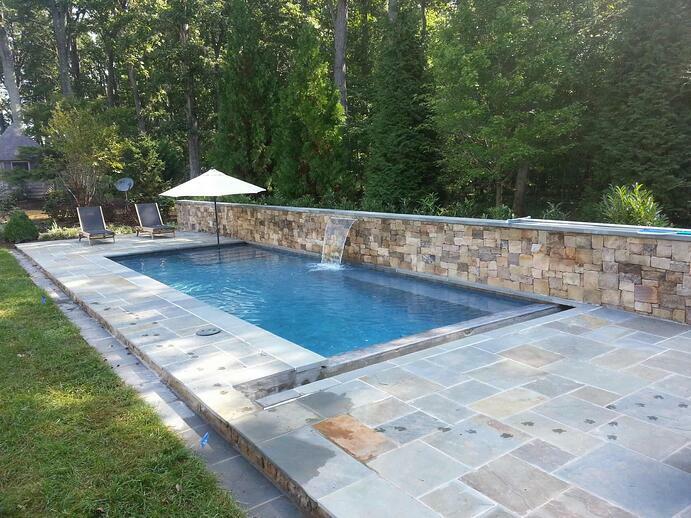 But with a large patio or pool area, doing the entire space in natural stone can add up. With natural stone, you’re not only paying for a superior product, but you’re also paying for extra labor. It takes more time to install natural stone than it does manmade pavers, which are made to fit together easily, almost like legos. It’s also important to mention that not everyone can install a natural stone patio, either. It takes true expertise to skillfully fit together travertine or flagstone vs pavers. There’s an artistry to it and when done correctly, the end result is stunning. Still, there are obviously times when compromises must be made. Everyone has a budget to work with and sometimes it comes down to choosing between a premium patio material or another aspect of the outdoor living area. If it’s the difference between being able to complete the outdoor kitchen or not, it’s not surprising that some homeowners might opt for the less expensive material. 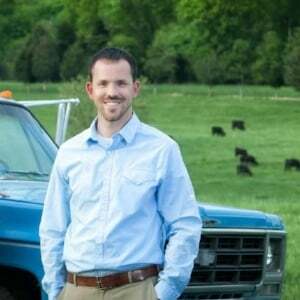 At Rock Water Farm, our clear preference is using natural stone. For the reasons outlined above, we believe it is the superior choice. We have the skill and the know-how to put together beautiful natural stone projects that are truly one-of-a-kind. We genuinely care about our clients and our projects and we do not want you to be disappointed in the long run, wishing you had invested a little more to have natural stone vs concrete pavers.We also want to walk away as proud of our most recent project as you are happy with it. If you want to chat more about a natural stone patio, and how it will suit your property better than pavers, give us a call at 703-327-1636. 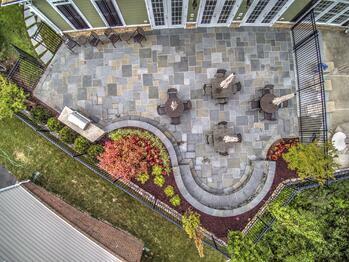 You can also look at pictures of natural stone patios in our portfolio or schedule a free consultation.